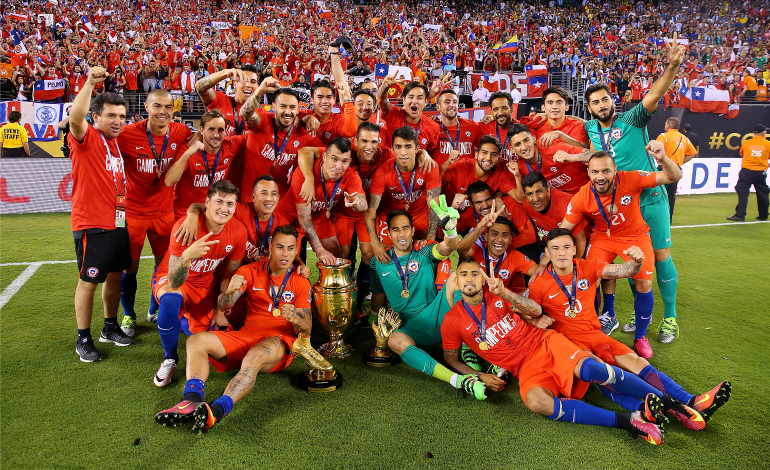 After a nerve-racking final match, Chile became the 2016 Copa América titleholder for second year in a row. The Copa América, which celebrated its 100th anniversary and was hosted for the first time in the U.S., came to an end with a re-match game between Argentina and Chile. Following the nearly one-month long tournament, where Colombian placed third place and the U.S. placed fourth, history repeated itself Sunday night at the MetLife Stadium in New Jersey as Argentina and Chile played head-to-head for the Copa title in its centenary celebration. Similar to the 2015 games that were hosted in Chile, both teams took their fate to penalties, where Chile, once again. became winners with a score of 4-2. Despite the back-to-back celebration for the Chilean team, Lionel Messi became the center of attention as it was the first time in his career that he missed a penalty shooting. As a result, the 29-year-old FC Barcelona star even announced his retirement from the Argentine National Soccer Team, telling reporters that in four years he has not been able to help his team win a Copa title. Although we are bummed for Messi, his team and their fans, we can't help but celebrate Chile's victory. Here are some fun facts to know about this year's Copa América winners. The Chilean soccer team is often called "La Roja" (The Red One). They are controlled by the Federación de Fútbol de Chile. It is the is the second oldest South American federation, established in 1895. Chile is one of the four founding member nations of CONMEBOL. Chile was one of the thirteen national teams that competed in the inaugural World Cup in 1930. The team appeared in nine World Cup tournaments. The highest position achieved in the competition was third place during the 1962 FIFA World Cup hosted in Chile. Before winning the Copa América in 2015 and 2016, they were runner-ups in four different occasions. The team's head coach is Juan Antonio Pizzi. Their captain is Claudio Bravo. They have had nine different team outfits since 1910, but always with the same color scheme: red, white, blue. The youngest team player on the current Copa América Centenario squad is 22-year-old Erick Pulgar. The oldest is 35-year-old goalkeeper, Johnny Herrera. Former soccer player Marcelo Salas is the top scorer in the history of Chile with 37 goals. Chile does not have any big rivalry, but important matches are against Peru, Argentina and Uruguay. As a result of winning the 2015 Copa América, they qualified for the 2017 FIFA Confederations Cup.